There are many “farm to table” chefs in our hometown of Chicago, but Abra Berens embodies both ends of that equation. 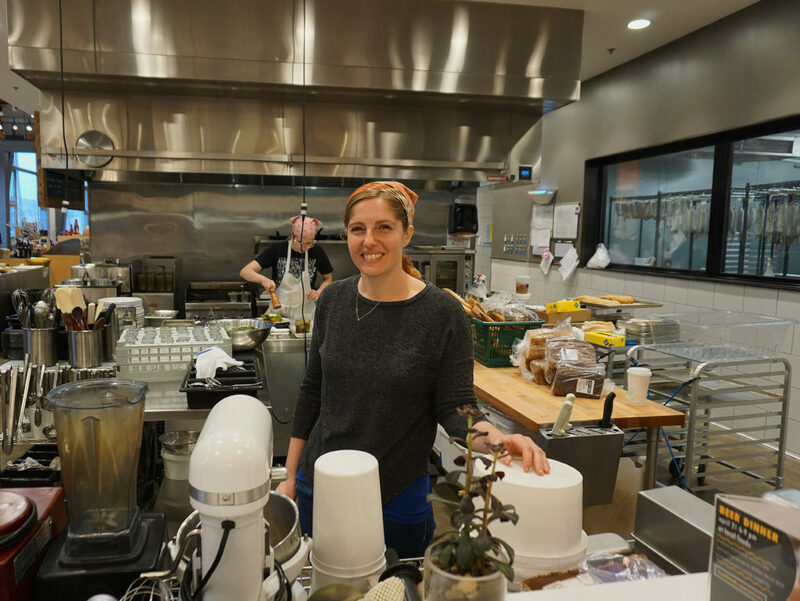 Abra is the executive chef at Stock Café at Local Foods, a five-year-old distributor of regionally and sustainably produced food, which amplified its impact in 2015 went it opened the retail store (in Chicago’s Bucktown neighborhood) where Stock is located. She is so committed to local and sustainable food that she started Bare Knuckle Farm, located in the northern part of her home state of Michigan, which is managed day to day by a business partner while she pursues her culinary career. In the following excerpted interview, Abra identifies three leading influences in her career: Zingerman’s Deli in Ann Arbor, an early adopter of local sourcing and fair worker practices, where she worked while attending University of Michigan; Ballymaloe Cookery School in Ireland, where she trained under chef/organic farmer Darina Allen (and her mother Myrtle); and Paul Virant, a Chicago-area Good Food pioneer for whom Abra worked at Vie restaurant in the western suburbs. Abra’s influence on Chicago’s food culture goes beyond the farm and the plate, though. She is a strong young voice in the region’s chef advocacy community on issues such as fair treatment of farm and food industry workers and reduction of food waste (her efforts on the latter were the focus of a June 2016 Good Food on Every Table article that can be accessed here). 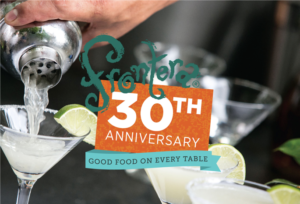 All of these factors together prompted storied Chicago chef Rick Bayless to invite Abra to participate the Frontera 30th Anniversary Celebration, a joint fundraiser for his Frontera Farmer Foundation and FamilyFarmed, which will take place on Sunday, April 30 at the Art Institute of Chicago. Among the all-star lineup of chefs, who will make this one of Chicago’s most memorable tasting events, Abra will be joined there by colleague Rob Levitt, whose The Butcher & Larder meat shop adjoins Stock Café in the Local Foods store. 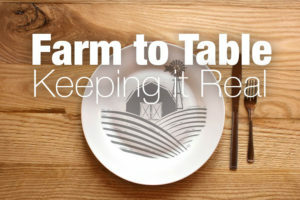 FamilyFarmed: You have the unique perspective of bringing all the Good Food movement together. From your perspective, where are we making the most progress in creating a better food system? Abra: I think where we’ve made the most progress is simply that access point. People like Rick Bayless, like Alice Waters have done a tremendous amount of work to make that access there for the next generation that I consider myself a part of. You have the choice now to decide where you’re sourcing your food from, it’s not just one distributor that you have to buy everything from, not out of force but from lack of options. Where we have the next set of hurdles are based, to me, around two things. One is food waste. 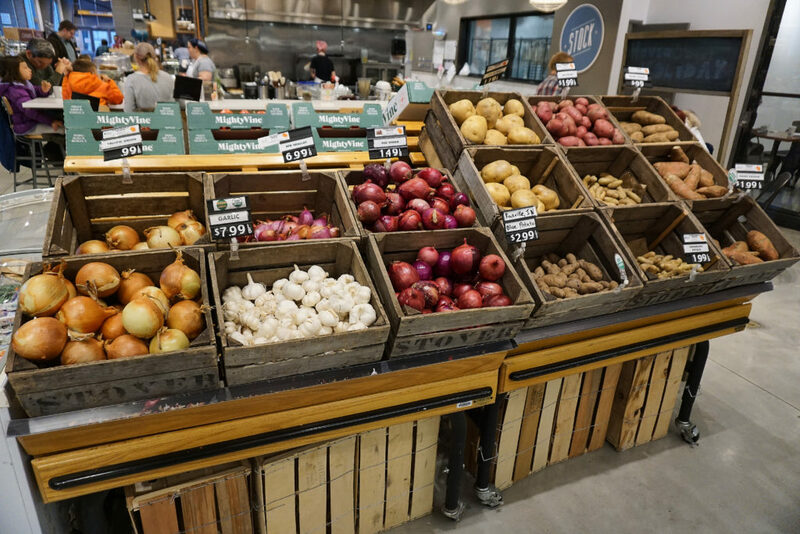 Right now we waste 40 percent of the food that’s produced in this country… Restaurants are learning how to change their menu based on what’s available, or how to include those stem cuts or some of the less desirable things… For the consumer, it’s a bit of a different equation. It will be how do shopping habits work, how do you really utilize things and not buy so much that it’s sitting in your fridge or creative ways so you’re not always eating leftovers…. FamilyFarmed: Is the same growing constituency that’s concerned about knowing where their food comes from more apt to be concerned about labor issues? FamilyFarmed: This store is a little island of paradise when it comes to consumer relations and talking face to face to customers. Is there evidence that is happening more broadly? FamilyFarmed: How do we get a greater national conversation around the high cost of cheap food without creating consumer backlash? FamilyFarmed: We’re trying to increase demand while at the same time we’re trying to increase supply in sync. How do we work that supply chain, how do we get more people into increasing supply? Abra: My farm is up in [Michigan’s] cherry region and if I wanted to just be a cherry farmer, it’s really hard to do that, because land is expensive, it’s a long amount of time you have to have the trees in before you start making money off it, and the harvesting equipment is $100,000 each and you use it for three weeks out of the year. And then you’re farming, which is victim to all of these woes throughout the season. 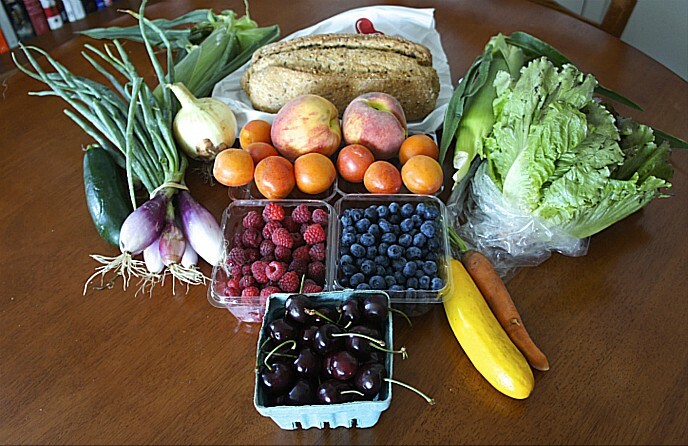 So some of that support, making it a sustainable living… You can earn a decent living through the farmers markets, but it’s not a great living and it’s a ton of work, and it requires a lot of physicality that people will age out of. Figuring out a way to be more supportive of that is a big step to it. But I think also just the diversification of our agriculture system would make sense too. Abra: When we talk about unintended consequences of some of these policies, that’s a really big one. I think it will change… Just simply having the conversation and providing the options for people to choose. I think it’s really important that the food movement not dictate people’s food choices, but it is absolutely not our place. Anyone in the American public can be suspect of anybody who wants to withhold information from them and say that’s not fair, I want the information, and I’ll make a choice. If you want to buy GMO crops, that’s fine, there might be a reason for it that makes sense for your family, but you should have the right to know whether it’s GMO, you should have the right to know who’s paying for these lobbying groups. That will change how people view where their food comes from. Then it’s up to the people to make that decision. Maybe they are not my decisions, but they’re good decisions nonetheless. FamilyFarmed: Is there any one particular person you would say was your greatest influence? Abra: Rodger Bowser at Zingerman’s Deli, he’s the one who moved me from taking sandwich orders and ringing people up to working in the kitchen, and at the same time he was trying to bring more local food into the very high-volume restaurant. That was critical to me. He even sent me to Ballymaloe, which is on a 100-acre working farm, and to have a cooking instructor say, “I’m not going to teach you these things because they’re out of season and you’ll have to figure it out on your own afterwards, but we’ll give you the recipes.” That was a real eye-opener. And then I think Paul Virant here in Chicago. He really changed the way I constructed dishes in the sense of looking through the pantry looking at what was available, and then cooking a dish from that. Those three people were really critical to the way that I cook. 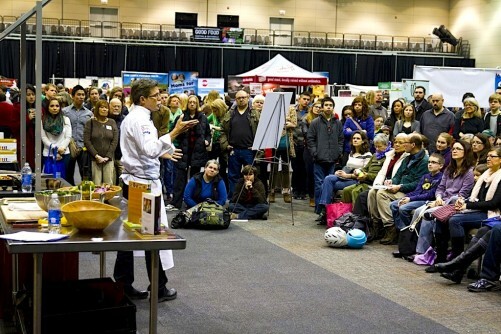 FamilyFarmed: Could we discuss the advances that Rick Bayless, the Frontera Farmer Foundation and FamilyFarmed have made to help create a Good Food cluster and movement within Chicago. Abra: I think for me the single biggest impact that Rick Bayless has had on my life, and the Frontera Farmer Foundation, is that my farm received a grant through Hoop Houses for Health. It is a totally separate organization, but the way their organization, their model is they are going to front the cost, you’re going to build this hoop house, and you’re going to pay us back in food that goes out through the WIC program. It’s that model, we’re going to give you the cash and you’re going to pay us back in food, from my understanding started with the Frontera Farmer Foundation. This entry was posted in Chef activism, Chef advocacy, Commodity agriculture, Direct Farm Marketing, Family Farms, Farm businesses, Farm to table dining, Farm to Table: Keeping It Real, Food activism, Food Entrepreneurs, Food waste, Frontera 30th Anniversary Celebration, Frontera Farmer Foundation, Good Food Dining, Good Food restaurant trends, Good Food tasting events, Local Food, Restaurants and Good Food and tagged Abra Berens, Alice Waters, Ballymaloe Cookery School, Bare Knuckle Farm, chef activism, Darina Allen, FamilyFarmed, food industry labor practices, food waste, Frontera 30th Anniversary Celebration, Frontera Farmer Foundation, Frontera Grill, Paul Virant, Rick Bayless, Stock Cafe at Local Foods, Vie restaurant, Zingerman's Deli. Bookmark the permalink.